A big media mention can crown your business an “overnight success” — but are you ready for an increase in orders? I’ve many a horror story of the bakery that went under, because they couldn’t keep up with the demand after Oprah. Because organized operations aren’t my strong point (I thrive in chaos), I asked Natasha Vorompiova, the Systems Chick, to share her tips on how you can prepare your business to make the most of overnight fame. You dream of being discovered by Oprah, getting quoted in The New York Times or maybe even shining on The Today Show. But you’re not waiting for a miracle to happen. And then, one day, your hard work pays off, and you receive the long-awaited call. You’re IN! Mission accomplished! You’re ecstatic — jubilant — and feel that you can finally relax a bit before the big day. As the day of your high-profile appearance approaches, there’s something else that needs to be carefully evaluated and properly set up—your systems. Publicity can generate a huge rush of orders and requests for information. One piece of the right content shared with the right audience through the media megaphone can easily create a backlog in your business if you don’t make the necessary arrangements. What measures can you take to prevent that kind of crisis? Here’s your checklist for ensuring you’re ready for overnight success. Share this post! Find out in advance when your “big break” interview is scheduled to air or when the article is being published. This way you know when to expect the flood of orders or information requests. Increase your inventory so that you’re ready to ship ASAP. If this isn’t an option, make sure that you can get your hands on items very quickly when the orders start rolling in. If you’re packaging and shipping the items yourself, prepare as much as you can ahead of time. Or, if you’re outsourcing this part of the process, notify your fulfillment partner about the possible wave of orders. Assign someone to track your inventory. Otherwise, invest in an inventory tracking software. Have someone available to jump in and help you. Do you need support with packaging, running to the post office and answering e-mails or phones? Prepare clear instructions on how to do each task (e.g., guidelines on how to package your product, directions to the post office, scripts to handle phone or e-mail inquiries, etc.). Meet with each one of the new temporary employees. Thank them for being there, share with your excitement, and give a brief overview of where they can find each type of information. Begin with the basics. Make sure your website is up to date. Confirm that the links work. Verify that your contact information is accurate. Then, walk through the process of placing an order. Make certain that everybody who needs to get notifications about the new order receives them. Assign someone to do random checks to ensure that the orders that came in are being taken care of. If your order processing is automated, test it once more and ensure that it accurately relays essential instructions and produces necessary confirmations. Do you have a complementary product or service? Use it for a 1-click upsell before the client checks out. Even though it will be offered at a fraction of its regular price, it can significantly increase your profit margin. It also leaves your customer feeling that they got a great deal. Regardless how things turn out, make sure your client care is at its best. Make yourself or certain team members available to promptly and professionally answer questions. Turn commonly asked questions into an FAQ sheet/page or even an info packet. Delight your customer by sending a thank-you note after they’ve made a purchase. Express your gratitude and give them the contact info for a team member who can assist them if they have a question or issue. If any order fulfillment falls behind, reach out to the clients, acknowledge the delay and assure them that things are under control and they will receive their orders on a new delivery date. If you are a service provider and have to ask your clients to get on a waiting list, consider offering a complimentary digital product or short let’s-get-acquainted session to show your appreciation and generosity. Media is a very powerful medium that can amplify your message and increase business, sales and partnerships in the blink of an eye. Download the FREE Overnight Success Checklist to leverage the good fortune and hard work that went into scoring this media coverage and ensure you’re prepared to handle the rush. How well could your business handle a rush of orders? What items from the checklist above need your attention? 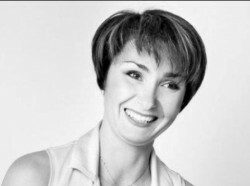 Natasha Vorompiova is the founder of SystemsRock, architect of business systems that work and a Certified Book Yourself Solid Coach. Her clients are small business owners who start their businesses with passion and a desire for freedom but find themselves stuck and buried in day-to-day operations. Natasha creates systems that ensure clients get more done in less time and pave the way for greater profits and long-term success. Check out the FREE Systems Chick’s Guide to Transforming Busyness Into Business for simple ways to grow your business.